Schwyn: "This stuff is really expensive. ... But over the next generation or two, the price will come down rapidly." TRAVERSE CITY, Michigan, USA -- Lidar-equipped vehicles are available in showrooms, but forget about those Google-style, coffee-can-size lidars on the roofs. The redesigned Audi A8 will feature a Valeo-produced lidar unit in the grille, said James Schwyn, chief technical officer of Valeo’s North American division, who spoke Monday at the CAR Management Briefing Seminars here. The new-generation lidar, produced by Valeo near Munich, will complement the A8’s array of radar, cameras and ultrasonic sensors. The A8 will use the lidar for its traffic-jam assist, which can steer, accelerate and brake at speeds up to 59.5 kph (37 mph). The driver does not need to hold the steering wheel in automated mode. The A8 is to go on sale in Europe late this year, and in the United States next year. The A8 unit is a mechanical lidar — rather than solid state — which means it is pricey, Schwyn acknowledged. 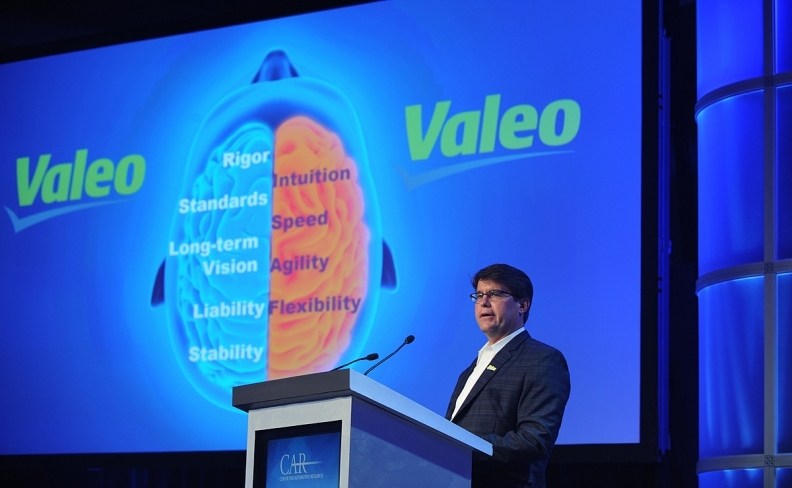 He did not disclose the price, but predicted that costs will decline sharply over the next five years or so as Valeo develops a solid-state unit. “The automotive market will demand a certain price point," Schwyn said, speaking with Automotive News before his presentation. Aside from luxury flagships such as the A8, Mercedes-Benz S class and BMW 7 series, the most likely market for early lidar use will be robo-taxi fleets operated by ride-hailing services such as Uber and Lyft. Industry insiders have said the technology will be ready for the mass market when the cost of a lidar unit drops to $250 or so.